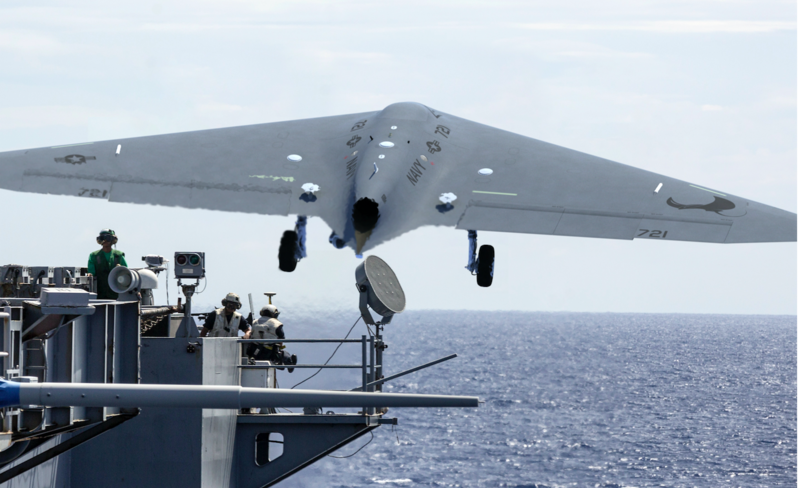 Lockheed Martin’s MQ-25A Stingray May Soon Be Your Next In Flight Fueling Stop! 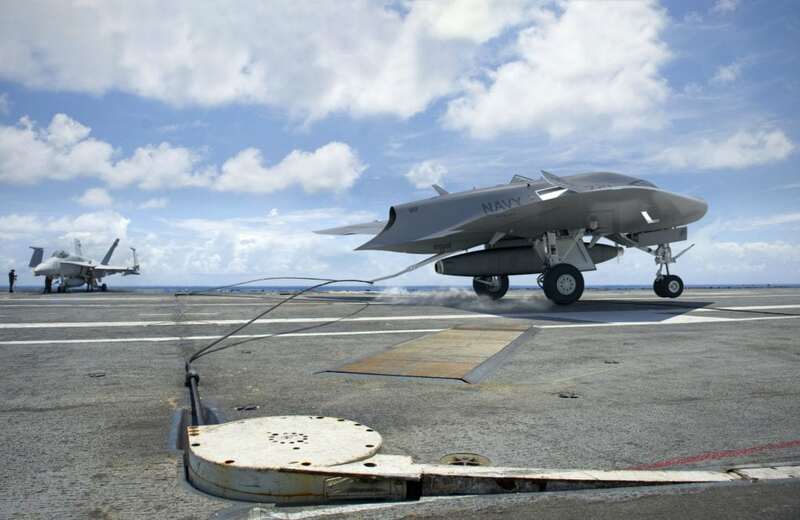 Speaking at the Sea-Air-Space Exposition on Monday, Rob Weiss and his successor, Jeff Babione, formerly of Lockheed’s F-35 program, discussed the unmanned tanker that Lockheed’s advanced developments division is working on for the U.S. Navy. MQ-25 being purpose-built tanker design leverages familiar technology technology from other Lockheed projects. Stingray uses the same GE-made F404 engine as the F-18, UTC Aerospace Systems landing gear also used on the F35 program and the Triumph Group aerostructures division, which worked on the F-8 Crusader, E-2D Hawkeye, P-8 Poseidon and F-35 Lightning II (among others) is building the internal structure. The Navy budgeted $719 million for the Stingray in Fiscal Year 2019 budget and plans on buying the first four in 2023. This entry was posted in UAV and tagged Lockheed Martin, MQ-25A, Stingray. Bookmark the permalink.